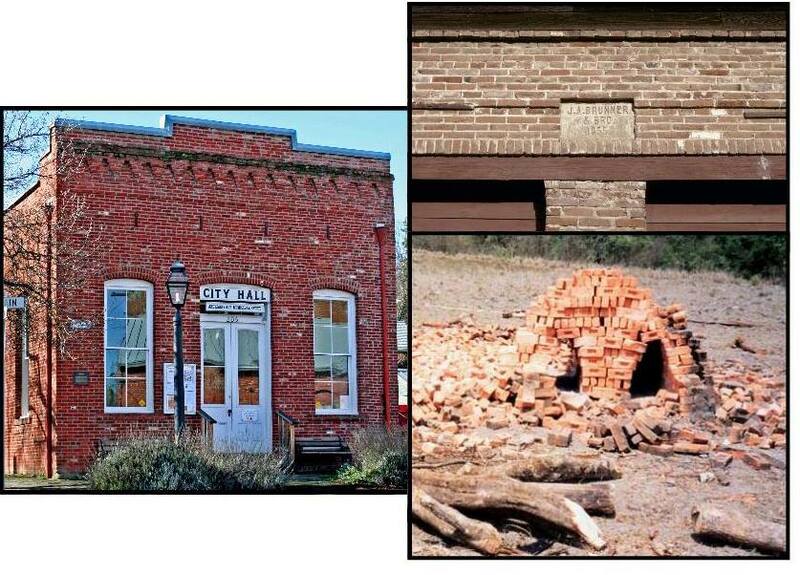 Brick Buildings | Historic Jacksonville, Inc.
Look closely at Jacksonville’s historic brick commercial buildings. Most are second generation structures constructed in the late 1800s after fires wiped out the original wooden buildings. The bricks used in these buildings were fired locally, often on site. They would be stacked into an igloo shape, forming their own kiln, with holes left for the firewood. While convenient, this firing method produced inconsistent results—the middle bricks would be good, but the bricks closest to the fire would be blackish brown and overdone. The bricks on the outside would be peachy pink and underfired. Over and underfired bricks are porous, allowing water to seep through, so most of the Jacksonville brick buildings were originally painted to seal them from the elements.